Travel to Cuba on a budget. Useful tips and information. 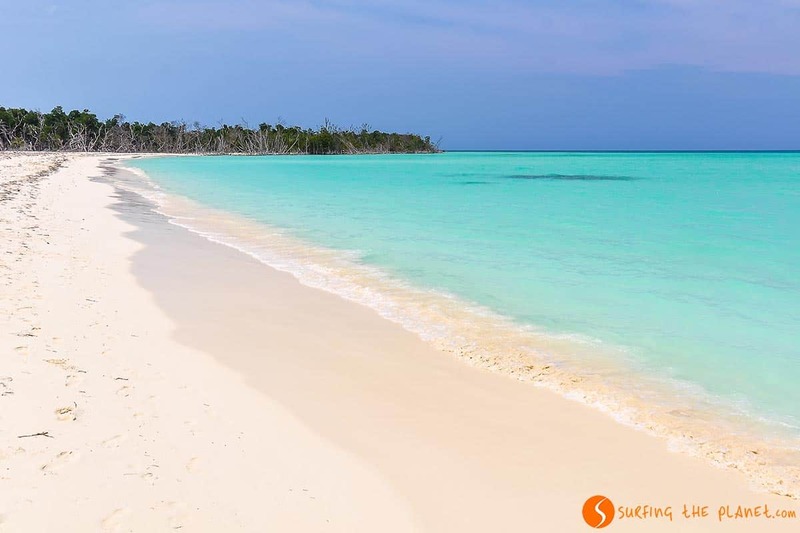 The archipelago of Cuba consists of the Island of Cuba (the main island), the Isle of Youth (Isla de Joventud) and lots of small islands, which are referred to as “cayos”. The islands are situated between the Caribbean Sea and the Atlantic Ocean and Cuba belongs to Central America. It’s a total commonplace, but in Cuba the rhythm of music is constantly present in the life of the islands. Cuban people are usually very easy-going and they kindly help you with anything. This was especially true for the owners of “casas particulares” (home-stays), where we stayed at. 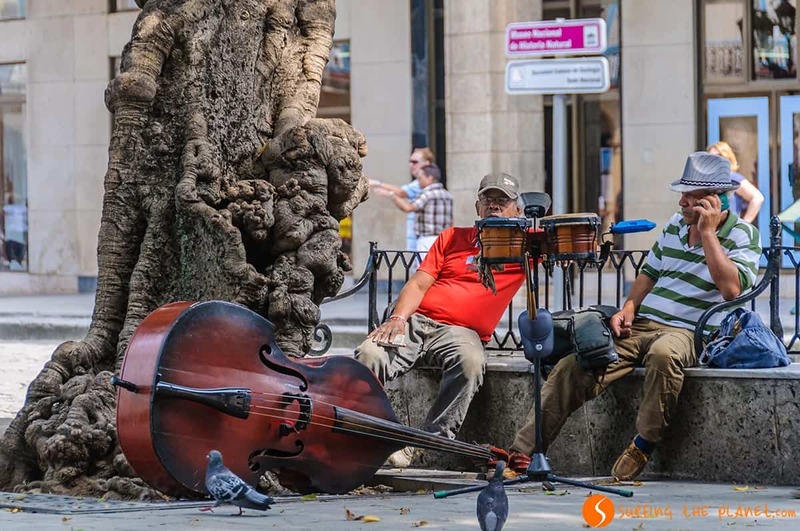 Life in Cuba is quite relaxed and calm, and nowadays most Cuban people have access to the basic goods of every day life and the price of food is not expensive even for the locals. At the same time, having a double currency system (CUP and CUC) often represents a problem for Cuban people who earn their salary in CUP (the local currency), whereas certain things (mostly those related to bureaucracy) have to be paid in CUC, which is a 25 times more valuable than CUP. 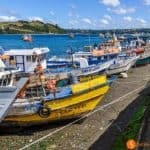 Everything related to tourism coming from abroad (accommodation, public transport) is paid in CUC and we can say that according to us, sometimes they take advantage of foreign tourists. For instance in the local home-stays one night costs around 25-35 CUC (the same in USD), which we find a bit exaggerated in a country where the average monthly salary is around 400 CUP (16 CUC). 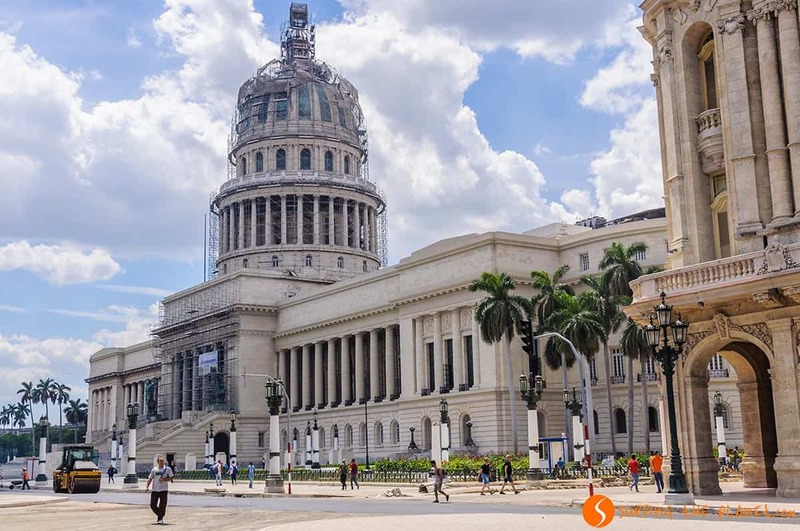 Traveling to Cuba is not so cheap since tourists usually pay in CUC, and in the end prices in touristic places are not so much cheaper that in Spain. 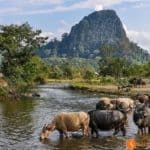 Nevertheless, in many cases fortunately there’s possibility to leave the typical tourist route and find places to pay for food or transport what local people pay, using the local currency (CUP). This way we can save quite a lot of money and at the same time we will have a much more authentic experience, being closer to local people’s life. In the post we will give you some great tips you need to travel to Cuba on a budget, and we will reveal the secrets of spending as little money as possible. The first time you look at the map of Cuba, it might seem a rather small country to travel through quickly, but in reality Cuba is much bigger than you might think. Moreover, the roads are not always in the best shape, which makes distances become even longer. 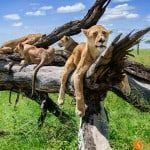 Thus, if you don’t have unlimited time, we recommend you to pick the destinations you want to visit in advance, and plan the itinerary so that you don’t miss out on some places you would be interested in. On the contrary, if you have a lot of time to spend in Cuba (more than a month), you might improvise your route when you are already there. The best part of the year to visit Cuba is between January and March, which is also the high season. During these months temperatures are milder, but high enough for letting you enjoy the beach. From June to November is rainy season, but in July and August it’s high season anyway, that’ when most of the European tourists come to visit the country. In September and October you have a good chance to find yourself in middle of a tropical hurricane. Requirements to enter Cuba: Vaccines, medicines, medical insurance and visa. We are preparing a full post about this issue. As we said earlier, traveling to Cuba is not cheap: the prices in the touristic restaurants and those of the public transport available for tourists are very similar to what we can find in Spain, whereas accommodation is somewhat cheaper than in Europe. Cuba is situated in the UTC + 6 time zone. The official language in Cuba is Spanish, however, in the touristic areas there are always people who can speak English, and many times even French or German. In Cuba there are two currency systems: CUP (the local currency) and CUC (which is always set to the value of USD, that is 1 CUC = 1 USD). Local people earn their salary in CUP, whereas everything related to tourism is paid in CUC. It’s always worth changing part of our money to CUP. In Havana in the local buses you can pay in CUP and in the local food stalls or windows they also charge you in CUP, and if you try to pay in CUC, they will overcharge you probably. In all cities you will find a CADECA, which are foreign exchange offices, where you can change money. The rates are usually the same in all places, however, we suggest you not change money on the street, where they will deceive you for sure. At present 1 EUR = 1.06 CUC, but you can check the actual rates on xe.com. If you want to learn more, read here more information on how to handle money in Cuba. This is an issue, which is going through a lot of changes at the moment. When we traveled to Cuba (in March 2016), WIFI was already available not only in luxury hotels (as it had been the case till not so long time ago), but in the main squares of most cities, and sometimes also in other public places. To connect to internet, you have to buy a card worth of 2 CUC at one of the ETECSA offices (the national phone company), which gives you 1 hour internet access. There are also 5 hour cards for 10 CUC. You have to connect to the network of ETECSA, launch the browser and then introduce the user name and the password found on your card. Don’t forget to disconnect from internet when you stop using it. Cuba is a very secure country, there’s not much violence, although you can find pickpockets, especially in the more crowded cities. The most important is not to get distracted and not to leave your stuff unguarded, and everything will be just fine. Just use common sense, that is enough. There are basically two ways of traveling around Cuba for individual travelers: public bus and shared taxi. Foreign tourists can’t use the long-distance public buses used by Cubans. For foreigners the only available bus company is Viazul. This company operates buses around the whole country, and the buses are quite comfortable usually and have air-conditioning. The bus drivers very often try to convert the bus into a fridge, therefore we recommend you to have a pullover with you on board. In Havana the Viazul bus station is found near the Zoo, and you can get there taking one of the local buses from the city center, which leaves you in front of the terminal. We took bus nr. 27, which stopped very close to the place where we stayed at in the Vedado neighborhood. The owners of the your homestay will surely indicate you the bus you need to get on. In other cities, the Viazul terminal is usually in the city center, but on the Viazul webpage you can look up yourself the information you need including itineraries, prices and timetables. We have to warn you, however, that the information you find is not always up to date. The other option of traveling in Cuba is taking shared taxis, which usually cost the same or just a little bit more than traveling by bus. If you are good at bargaining, you can even get a cheaper price sometimes than what the bus ticket costs. Traveling in shared taxis is faster, but is definitely less comfortable. We took one from Viñales to Cienfuegos, and everything went fine. We advise you to book a shared taxi through of an agency or your homestay, since taxi drivers who offer their services on the street are not always reliable. We heard stories of people who were not taken to the agreed destination, but were left in another city. When you travel around Cuba, you will see a lot of buses with foreign travelers, which are not operated by Viazul. These buses are run by travel operators, which organize tours for foreign tourists. Most people still travel in Cuba this way, which is much more comfortable, and naturally much more expensive. These travel agencies basically provide you packages and organize you every single segment of your trip with hotels and transport included. If you are not looking for freedom in your travels, this is also a good option, and actually it’s still the most popular way of traveling in Cuba. A detailed post on this matter is under preparation. 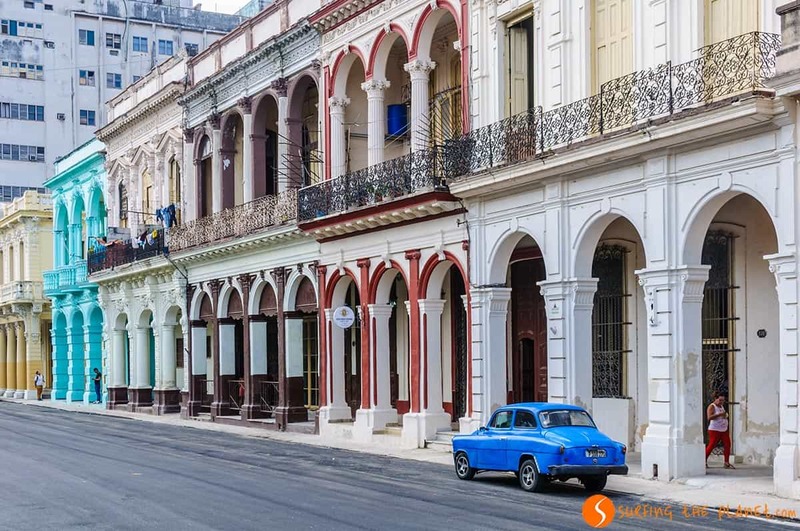 Cuba is mostly famous for its vibrant and culturally rich cities like Havana, Trinidad or Cienfuegos, and the infinite amount of wonderful beaches around. Nevertheless, there are also fascinating natural sights in Cuba, such as the UNESCO World Heritage Viñales Valley. We spent 37 €/person/day on accommodation, food and traveling around Cuba. This includes a 3 night all-inclusive stay in a wonderful beach resort with private beach included. This was a kind of present to ourselves, without counting this, we spent 26 €/person/day. We stayed all nights in home-stays, apart from the last 3 nights in the resort. We ate almost exclusively in local restaurants, food stalls and windows, paying usually less then 2 euros per meal. We traveled through the country by bus (Viazul), we took a shared taxi just one to travel between cities. In Cuba it is hard to buy chocolate, and you can make the owners of the home-stays very happy if you bring them some chocolate. On the street, especially in Havana you will meet people who ask for T-shirts, pens or whatever. It is recommendable not give them anything, since we heard that most of these people sell that stuff later. In the home-stays you can always bargain the price down, especially in low-season. Looking for some more information? Here are some great tips for organizing your trip to Cuba. 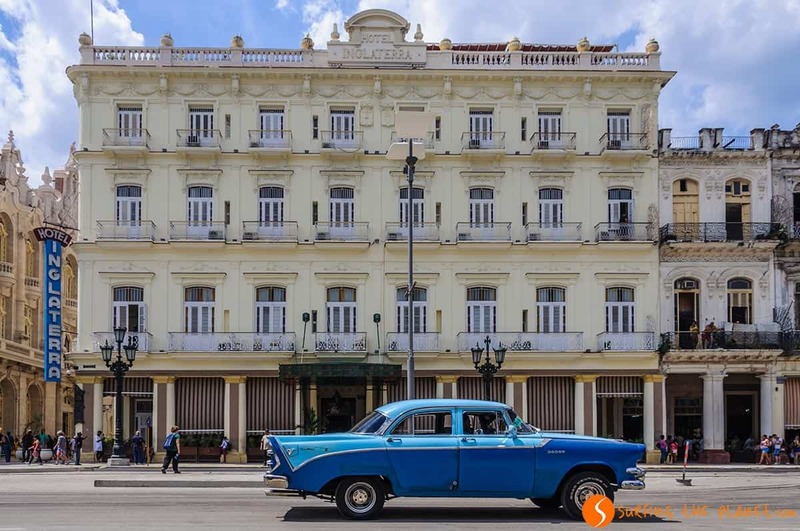 – ZZZ… BOOK YOUR HOTEL IN CUBA – find the best hotel for you. 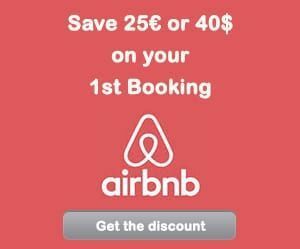 – FLYYY… Find the CHEAPEST FLIGHT TO CUBA. – BRUM BRUM… RENT A CHEAP CAR FOR YOUR TRIP AROUND CUBA – find the best car for you.